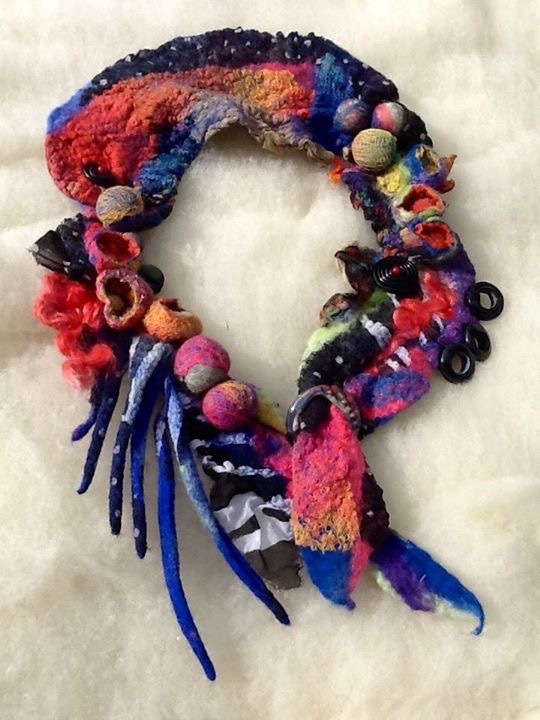 Learn to create a fabulous Nuno felted neckpiece using fine Merino wool, silks and assorted fabrics. 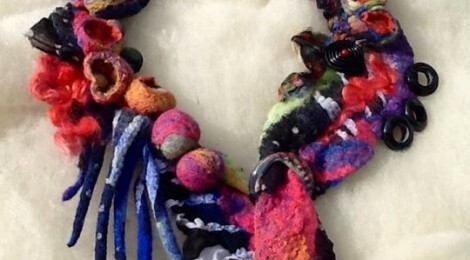 Wet felting will be taught, as well as forming shibori pods and texture. Beads and other embellishments can be added to add interest. 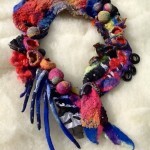 Leave class with a one of a kind piece of wearable art. Class fee includes supplies and materials provided by the teacher. Provided: Instruction, and all fibers--Wool, silk, ribbon in many colors, Glass pieces to form pods, Use of wet felting supplies. Bring: Scissors, Needle and strong thread( like carpet thread) and two or three old towels.